Welcome to your SwitchArcade Roundup for October 30th, 2018. A new day brings new news, releases (a whole slew of ’em! ), sales, and more to the SwitchArcade Roundup. Let your Pat Sajak fan club president Phil guide you on this journey through all of the Switch coverage you need for the day. Not only is there a new Nintendo Direct arriving on Thursday morning to talk about, but I also have some impressions on a newly released game today. First, let’s keep going with out Halloween-themed Games of the Day! Our week of spook-tacular Game of the Day entries continues with Resident Evil Revelations, a game that originally debuted on the Nintendo 3DS, wowing players with its MT Framework engine-producing visuals. Now, after several HD ports of the game–even one to the Wii U–Resident Evil Revelations now haunts the Nintendo Switch with an immense lineup of monsters, mutants, and grotesque creatures. 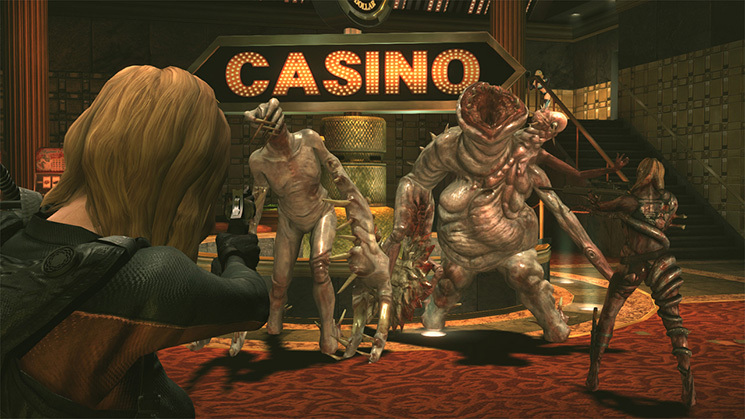 Resident Evil Revelations on the Switch allows for motion-control aiming with the Joy-Cons, making for an unprecedented amount of precision and accuracy for shooting the horrific hordes of enemies infesting the Queen Zenobia, the luxury cruise ship that was thought to be abandoned. Of course, standard button controls and stick aiming are here for those with a more traditional preference. Revelations came after Resident Evil 4, Resident Evil 5, and Resident Evil 6–games that went for a more action-oriented approach than the survivor-horror direction that the Resident Evil series originated with. Revelations was a welcome return to horror, making for a breath of fresh air for a franchise that could–at the time–have been considered to have lost its way. Well, I say Resident Evil Revelations was a breath of fresh air for the series, but who could really catch their breath playing the game at all with the intense and delightfully frightful scenarios within? Save me Mr Tako: Tasukete Tako-San harks back to the era of playing one’s Game Boy, all nestled up nice and cozy. The difference with Save me Mr Tako is that my older brother won’t hog the Switch the entire time like he did with our Game Boy back in the day. Now, I’m the one hogging things–turnabout is fair play, after all! The visual style, music, and sound of Save me Mr Tako do an amazing job of emulating the Game Boy–nay, Super Nintendo’s Super Game Boy look. You can change the color palette of the game screen with a press of a shoulder button, as well as cycle through various themed borders. Additionally, there’s even the option to play the game without a border via full-screen, or play it with the same box-size dimensions as a traditional Game Boy game. Tako is our peace-yearning octopus protagonist who wants to end his brother’s war with the humans. Through completing quests, venturing through levels, visiting new areas, exploring dungeons with requisite keys and bosses in them, and collecting a variety of hats that enable Tako to possess different powers, our hero comes one step closer (or whatever a step would be in octopus terms) to bringing peace to the land. 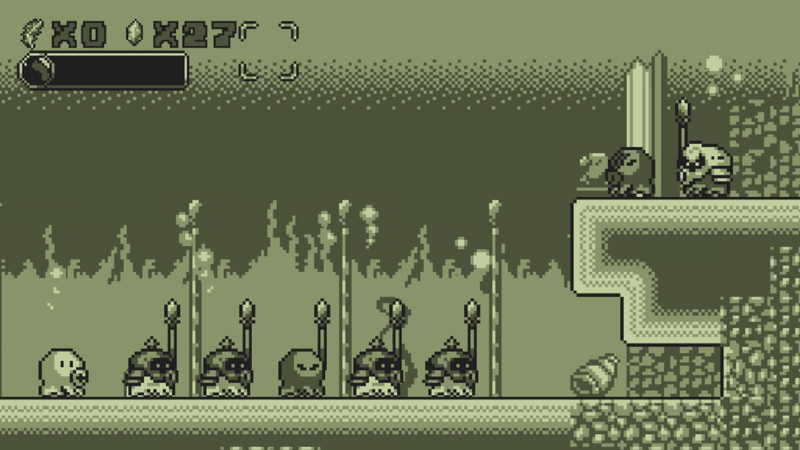 Save me Mr Tako has similarities to two Nintendo golden age platformers: Kirby and Metroid. With Kirby, it’s with regards to its gameplay–incredibly simple but enjoyable all the same. 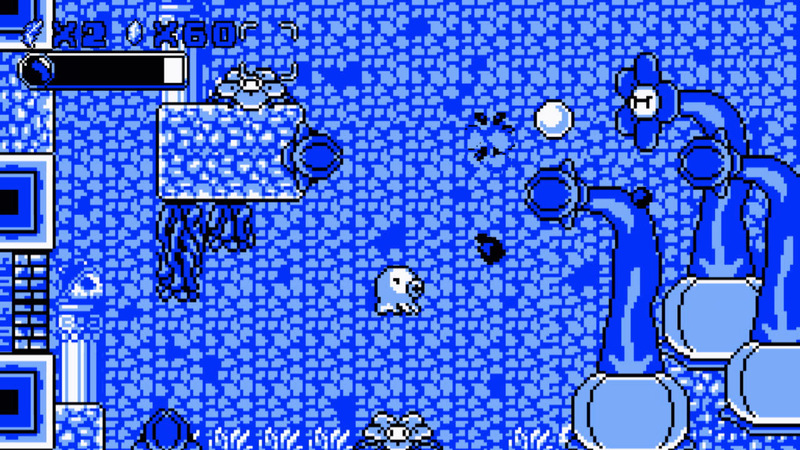 Our hero Tako attacks by shooting out ink bubbles to freeze enemies in place. This is used in the game to avoid confrontations, slip by foes without taking damage (as one hit will give Tako’s journey an early end), and better yet, put these frozen enemies to use as platforms to reach new destinations in levels and make progress in general much easier. Tako has a limited amount of ink that he can spew, so spamming the attack button isn’t really conducive to a successful adventure. However, he can pick up ink power-ups that refill portions of his ink gauge. The Metroid part of Save me Mr Tako comes from a structure sense. 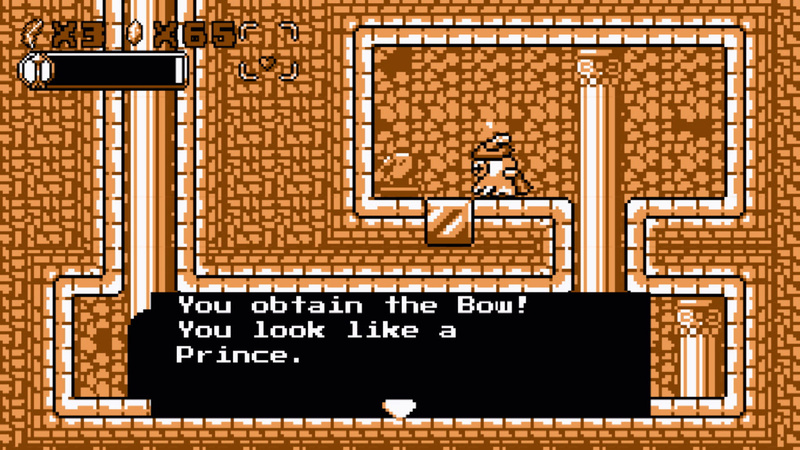 While the game is far from a traditional interconnected world, Tako’s adventure does have him acquiring new abilities in the form of one of 50 hats, each with a different power. These allow him to return to past levels and world hubs (the latter are indeed interconnected) to get items, abilities, and goodies that he previously could not reach or nab in his first visit to these places. Save me Mr Tako delivers classic and simple 2D platforming goodness. My only real issues with the game are that–for one–for such a cute premise and game, Save me Mr Tako has a conflicting tone to it. One moment it’ll be all happy and whimsical like a Nintendo-developed platformer, and then the next you’ll be reading flavor text that says that a soldier has two bleeding puncture holes in his body. Yikes! It’s sort of like the game doesn’t know what it truly wants to be thematically, but this is more of a side observation than a fundamental problem with the game. 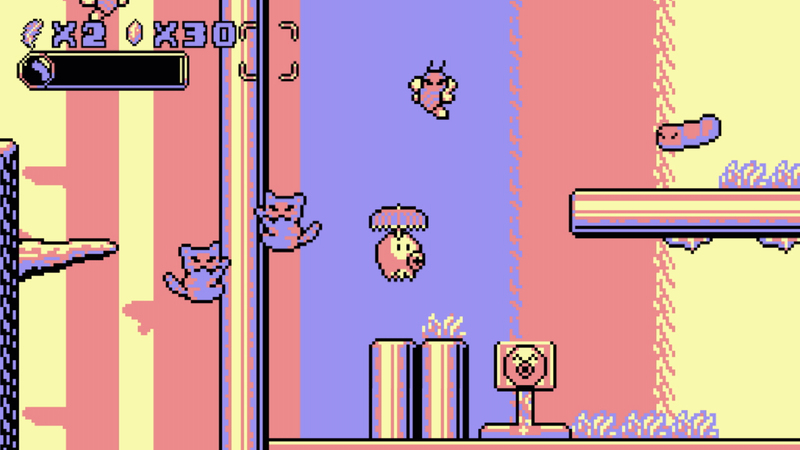 Furthermore, staying true to its Game Boy era inspirations (and to a fault), Save me Mr Tako has plenty of cheap deaths that result from not having enough screen real estate to see what you’re jumping towards. Curiously, you can look down to have the game scroll all the way in that direction to seek out possible dangers below Tako, but you can’t look up and see what’s up (and I don’t mean “what’s up" in a “what’s happening" sense) until it’s too late. Save me Mr Tako also disappoints when it comes to its side quest management. There isn’t any way to track which side quests you’re currently engaged in and which you’ve already completed. Yes, that’s a modern convenience for games nowadays, but it wouldn’t have hurt to include such a feature for Save me Mr Tako. This is especially so since there is an immense number of side quests you have to keep in the back of your mind from NPCs all across the game world. That said, as a whole, Save me Mr Tako: Tasukete Tako-San is a delightfully charming, challenging, and engaging 2D platformer that really is reminiscent of its Game Boy inspirations. It’s also quite lengthy, as I’ve played for five hours now, and according to the file select menu I’m only about 40% through the game. You’re certainly going to receive a meaty experience with Save me Mr Tako, and it’s for these reasons I recommend the adorable adventure of Tako to Switch owners. This morning, Nintendo of America didn’t just drop some information that a planned, approximately 40-minute Nintendo Direct featuring Super Smash Bros. Ultimate was coming on November 1st, just roughly a month ahead of the game’s launch. The company also revealed that a Nintendo Treehouse: Live presentation of games will happen afterwards as well. Staff from Nintendo Treehouse plan to show off gameplay of not only Super Smash Bros. Ultimate, but Pokemon: Let’s Go, Pikachu! and Let’s Go, Eevee! as well as Yoshi’s Crafted World, a 2019 release. It’s an embarrassment of riches for Nintendo Switch fans, so while Halloween is tomorrow, save room for some additional treats the morning after. Super Smash Bros. Ultimate isn’t the only Switch release set for December 7th. Now, SEGA Genesis Classics joins Smash Bros. on that date, as shown by this trailer. SEGA Genesis Classics features 50 SEGA Genesis games, a rewind function–perfect for correcting those gameplay mistakes we’re all wont to make–and achievement-style challenges. 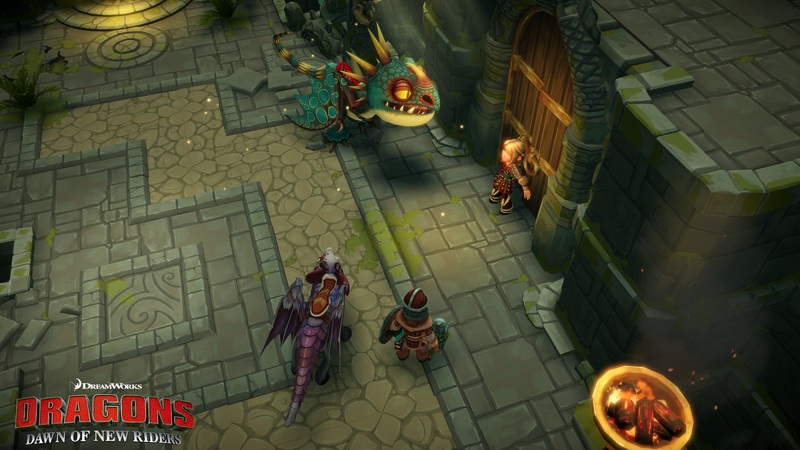 From DreamWorks’ How to Train Your Dragon franchise (which I didn’t even know was still a thing until the press release I received in my inbox), but admittedly my DreamWorks knowledge is limited) comes a brand-new action-adventure game from Outright Games: DreamWorks Dragons Dawn of New Riders. The game’s set for a February 2019 release, which would make sense, as there’s a brand-new How to Train Your Dragon movie heading to theaters around that time as well. From Bandana Kid comes a top-down puzzle-platformer heading to the Switch. It’s the gorgeous, magical, and kid-friendly Elli. This game is scheduled for a December release. How’s that for a quick turnaround on an announcement and release! Take a look at this trailer for the game to see why Elli just hit my most wanted games for December list. As the name implies, LEGO Harry Potter Collection is a collection of each and every LEGO Harry Potter game, a combination of LEGO Harry Potter Years 1-4 and LEGO Harry Potter Years 5-7. Revisit the wizarding world of Harry Potter all over again, but this time do so in LEGO form. “Are you ready for some football?!!!" Since Switch owners don’t have a Madden NFL game to play as of yet, you darn right we’ve been ready! The next best alternative to Madden NFL is a version of football featuring mutants, monsters, skeletons, werewolves, and more with Mutant Football League: Dynasty Edition. In this game of football, you don’t just have to worry about getting sacked–you have to worry about getting sacked and also having your torso split in two! Gruesome, but not a 15-yard penalty in THIS game. Taiko Drum ‘n Fun isn’t the only drumming game in the Nintendo Switch neighborhood! Gal Metal is a rhythm game where you use the Joy-Cons to mimic real live drumsticks as you play along with 13 unique songs in any way you want. Does anyone have any peanut butter–because we’re about to jam! Unless you don’t read the SwitchArcade Roundups in sequential order, then you’ve probably already read my in-depth thoughts on Save me Mr Tako: Tasukete Tako-San. If you haven’t, just scroll up a little bit! Excuse me!? “America’s Greatest Game Shows" and you don’t have the awesome Price Is Right included? I’ll forgive you this time, Ubisoft, and just because Wheel of Fortune was one of my favorite game shows to watch and play along with growing up. As for Jeopardy? Well, that show just makes me come to two realizations: 1) I’m not very trivia-savvy, and 2) I will never grow a mustache as fine as Alex Trebek. Some spine-chilling games perfect for the Halloween season get discounts starting today. 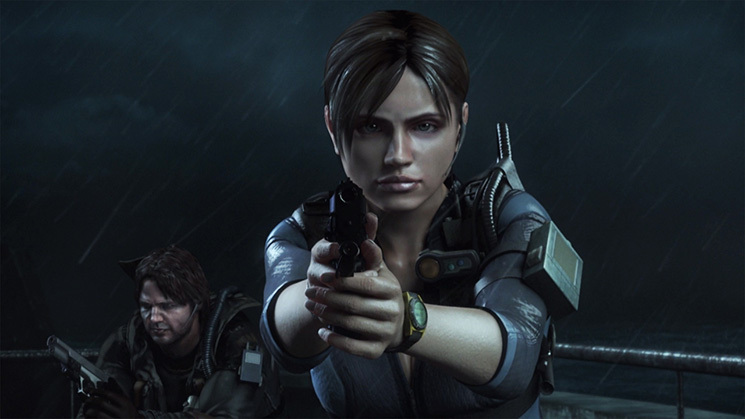 Most notably, both Resident Evil Revelations games are on sale until November 5th. Meanwhile, De Mambo gets a quick 24-hour sale for a massive discount. Finally, like a familiar old ghost that keeps haunting the SwitchArcade Roundup Sales section, Plague Road is back on sale, baby! What are you dressing up as for Halloween tomorrow? I think I’ll dress up as the writer for the SwitchArcade Roundup. It’s an inexpensive costume, but I’m all about making my money stretch in this economy! Until tomorrow, keep your Joy-Cons charged and your Switches loaded with great games!